The physical properties of a fin can be described by the outline, the shape of the cross-sections (profiles) and the thickness distribution along the fin length. We use complex, self-developed 2D design tools (software) already including the structural/physical models of the 3D-fin to pre-calculate the bending curve, the torsional stiffness, resulting geometrical twist and also the basic fluid dynamics. The output of this tool are the before mentioned 2D datasets. 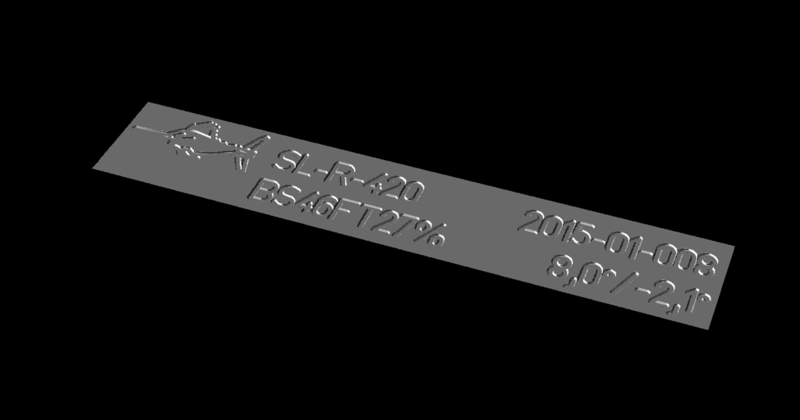 With these 2D-data-sets a 3D-model of a fin can be created. 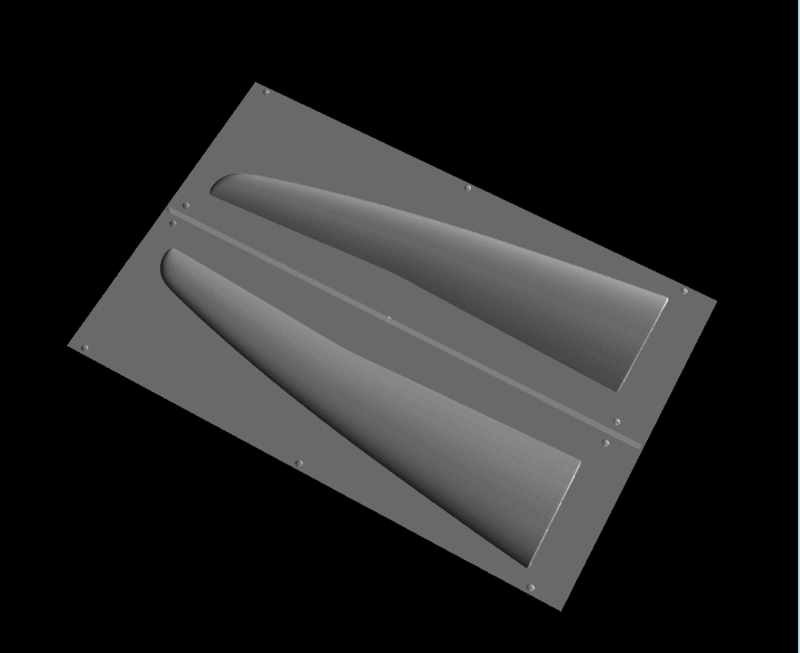 The 3D-model of the fin is used to design the 3D-model of the mold. Our molds include different measures to control the resin flow, avoid leakages and control the pressure on the fiber. 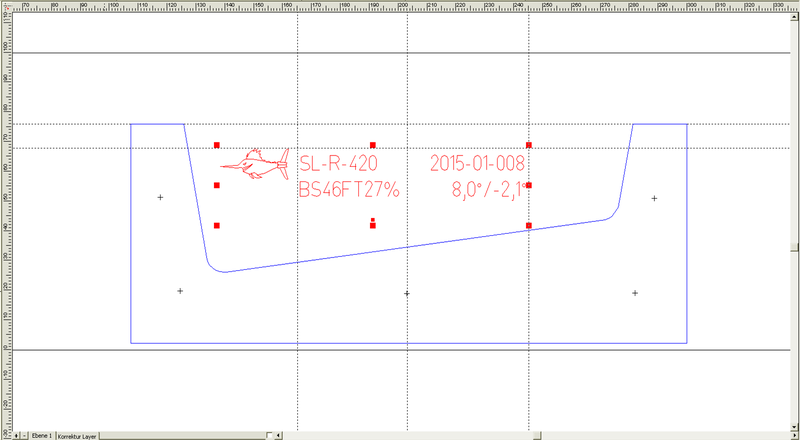 Remark: The screenshot shows a simplified mold just with the negative shape of the fin’s blade. The 3D-mold data allow the calculation of the milling path needed for the CNC-machine to produce the mold and also the templates needed for cutting the carbon fiber sheets later in fin production. This consistent linkage from basic geometrical data up to a fully machined mold eliminates the risk of failures and allows short development cycles. By that a windsurfing fin becomes a real engineered product.